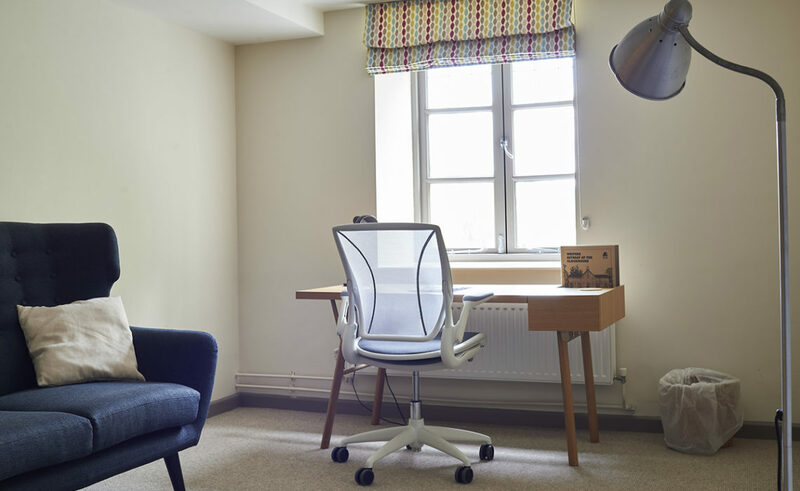 Give your writing the time and space it deserves with Arvon’s dedicated Writers Retreat at The Clockhouse. 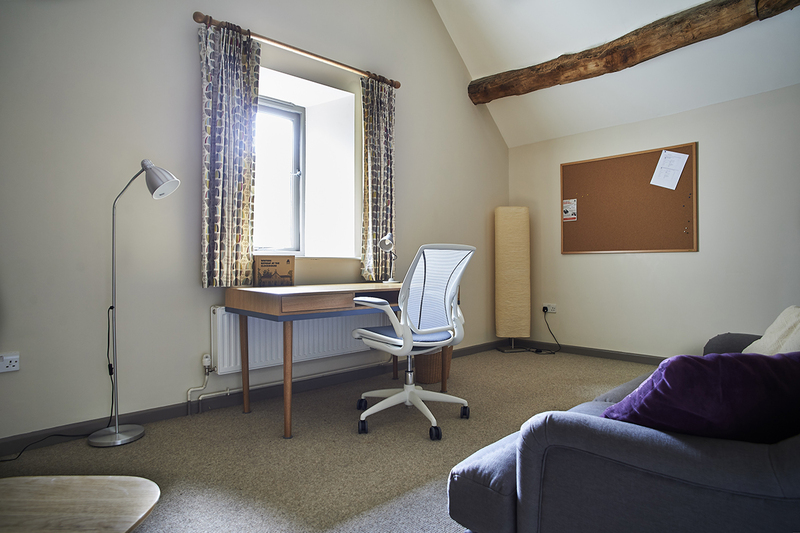 The Clockhouse sits alongside our writing centre at The Hurst in the Shropshire Hills. Newly refurbished, it has four apartments for writers, each with bedroom, study-lounge and bathroom. All food is provided for you, so you can spend your time as you please. 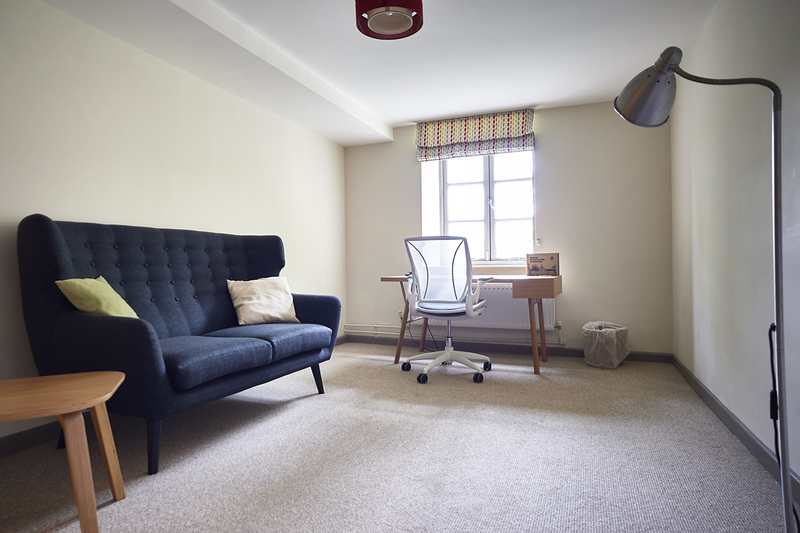 Everything in The Clockhouse has been planned to help you focus on your writing, away from day-to-day distractions. Walk in the beautiful landscape, share your triumphs and challenges with fellow writers over dinner together, or just sit at your desk and write. Whether you’re starting something new, or pushing on to finish something, make time to free your imagination with a writing retreat. Your length of stay can be six days (Tuesday to Monday), or four days (Thursday to Monday). 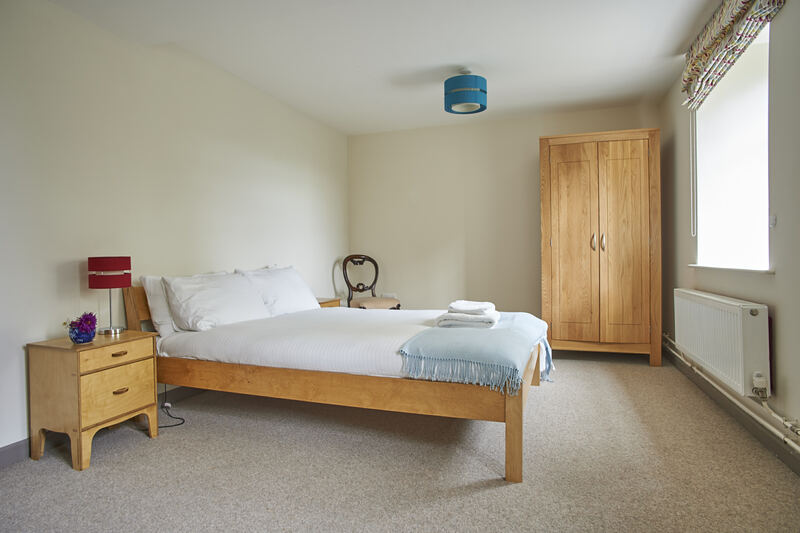 If you wish to stay for longer, you can book multiple retreats back-to-back, and stay on the Monday between retreats for free. To do this you must book by telephone only. If you wish to book as a group of up to four writers, please telephone The Hurst. 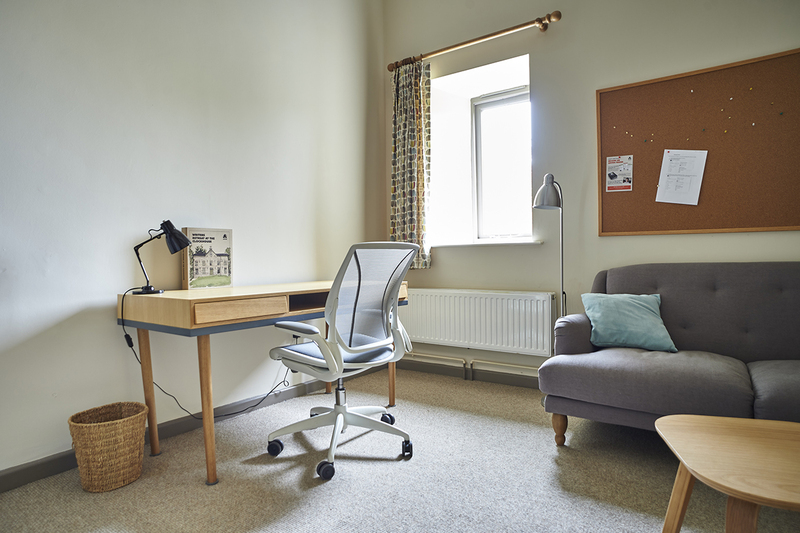 The first floor apartments, Mary Webb and Wilfred Owen, are at a slightly higher cost due to their exceptional views of the Clun Valley to the east, and the high level of natural light in the studies and bedrooms. 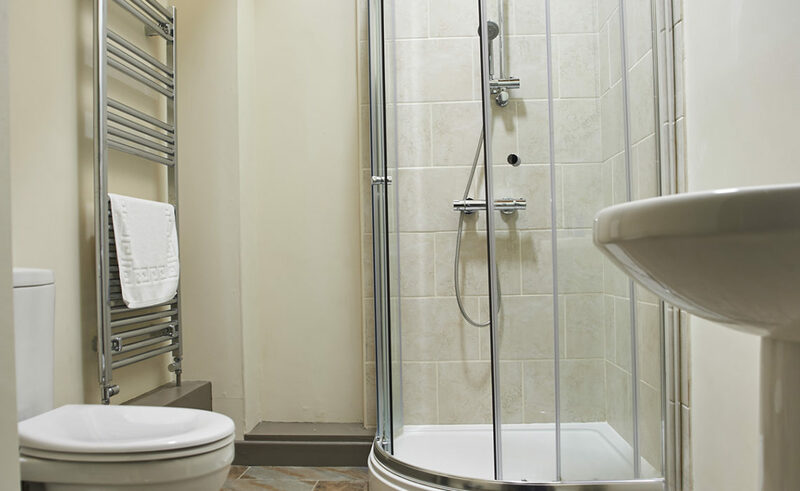 If you require an accessible bathroom on the first floor due to a disability, concessions are available: please contact The Hurst. 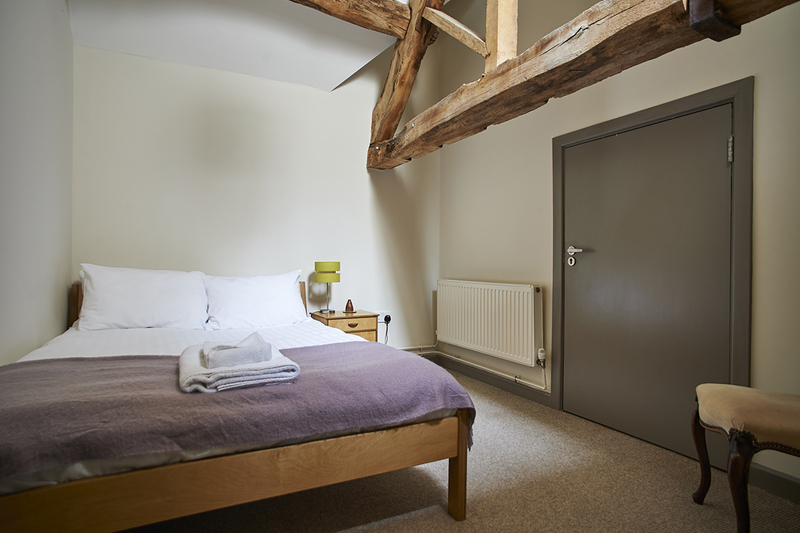 The second floor apartments, A E Housman and Bruce Chatwin, are characterful with vaulted ceilings and timber beams. Views in these apartments are more limited. 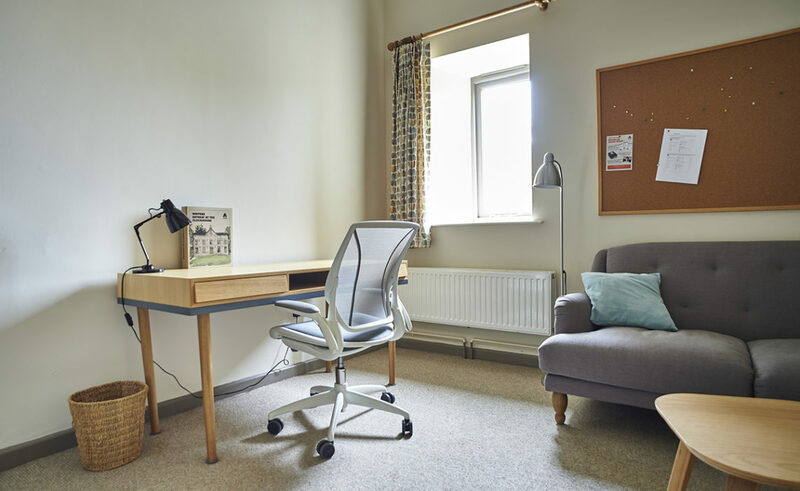 We offer these apartments at an increased fee due to their exceptional views of the Clun Valley to the east, and the high level of natural light in the studies and bedrooms. 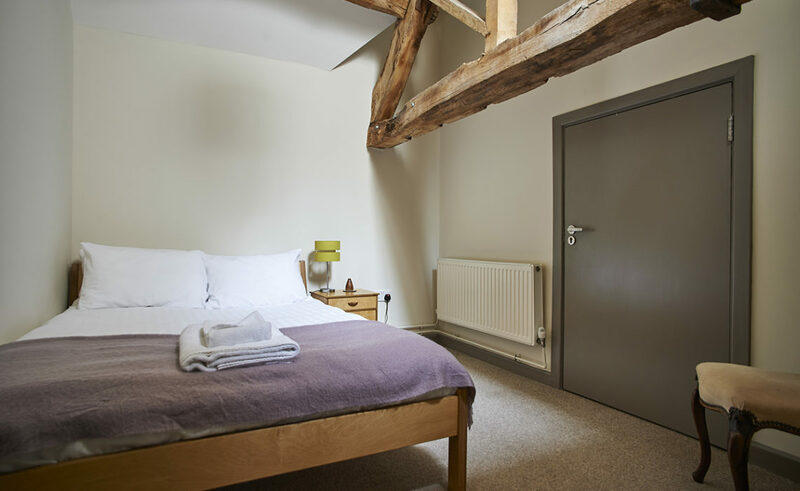 Characterful accommodation with vaulted ceilings and timber beams. Views in these apartments are more limited. This retreat has been quite special, enabling me to write more in the first three days than I had in the previous three months. The greatest gifts for a writer are time and space to write. The Clockhouse gave both in abundance. What a glorious week at The Clockhouse! The views alone are worth the trip, and the magnificent Arvon food, the delightful company, the country walks made it a fantastic week of writing, reading and thinking. The conversion of The Clockhouse is stunning. Everything has been planned with writers and writing in mind. I got a lot of work done. My week at The Clockhouse was exceptionally productive. 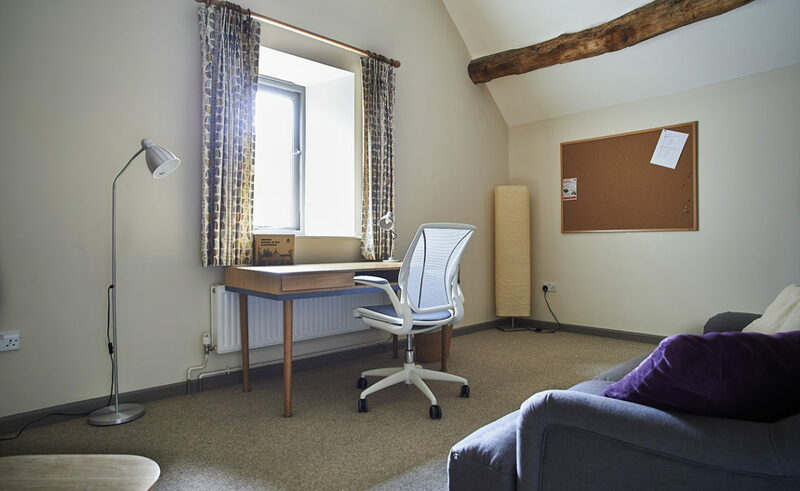 Distractions were at a minimum and the sense of life going on beyond the Clun Valley actually acted as a powerful incentive to write while there was time to write. 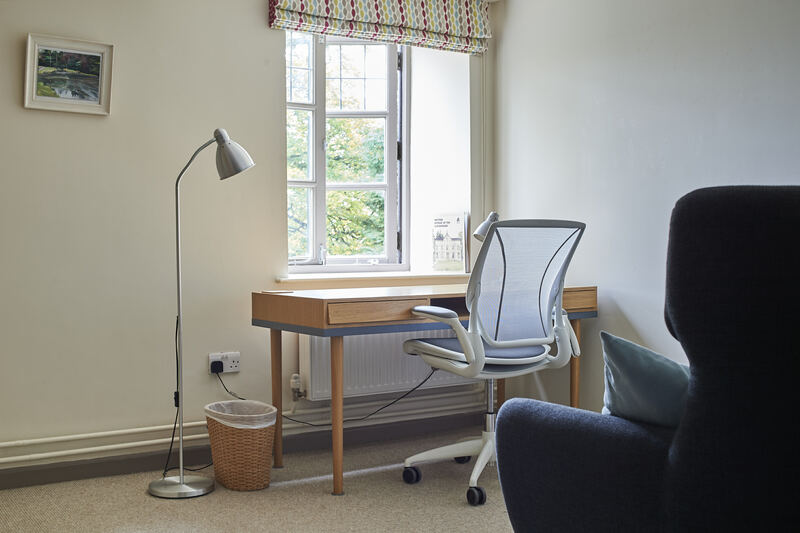 There is space on this retreat to both read and write, the big rooms you are given give you time to dream while the beautiful countryside provides walks and inspiration. I absolutely loved everything about the Clockhouse. No complaints! The food was fantastic, the staff were helpful, and the other writers based here were great company. Thank you so much for providing this. We have nothing that compares to this in the US. Six-day retreats at The Clockhouse are Tuesday (noon) to Monday (noon). The retreat fee includes full board accommodation (not including alcohol). To secure your place, you will need to pay a deposit of £150 at the time of booking. 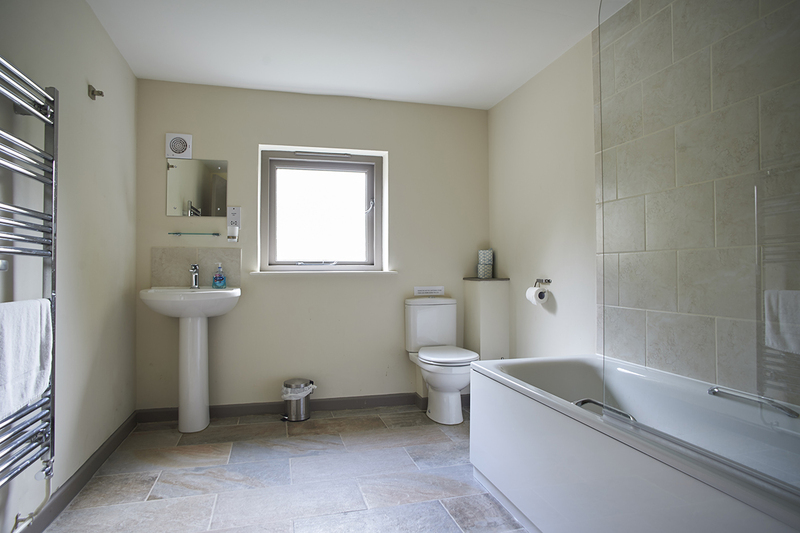 You are welcome to pay in instalments via our online booking system. The full balance of your retreat fee is payable no later than six weeks before the retreat starts. We do not currently offer grants for Writers Retreats. 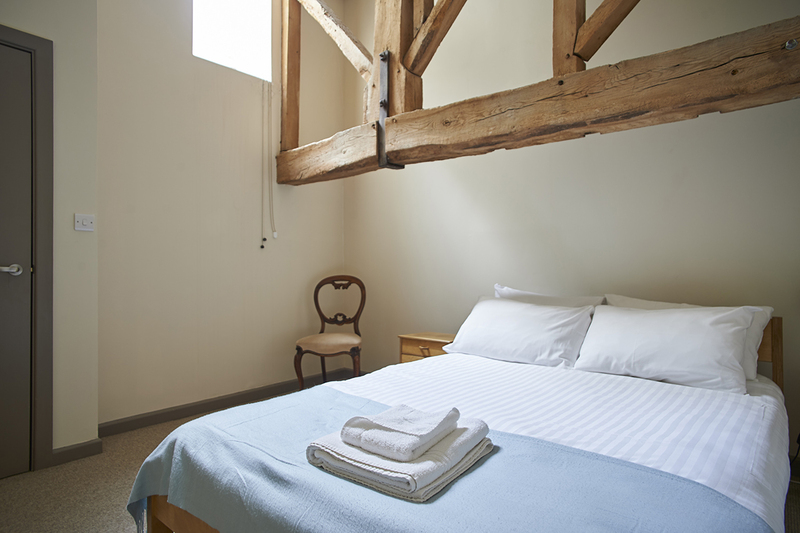 No guests or visitors are permitted within The Clockhouse during your stay. Parking is available at The Hurst. For travel details to The Hurst see here. 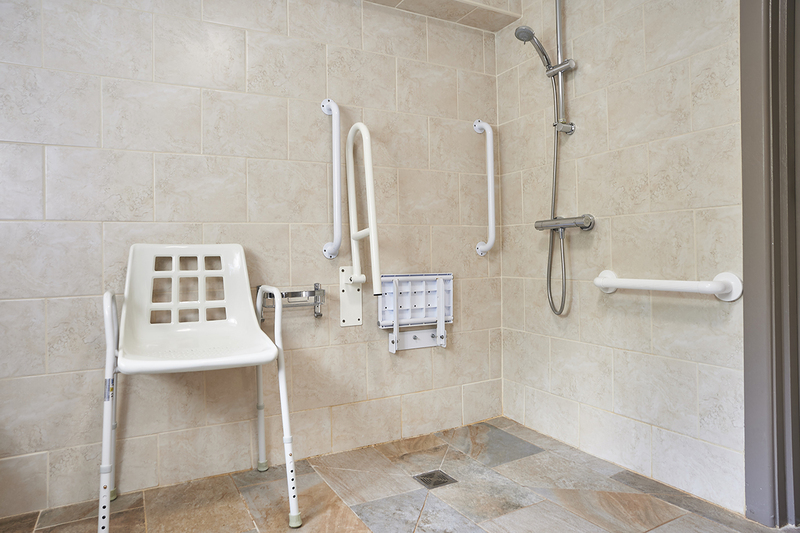 The building is wheelchair-accessible throughout, with level access to all floors and a lift. 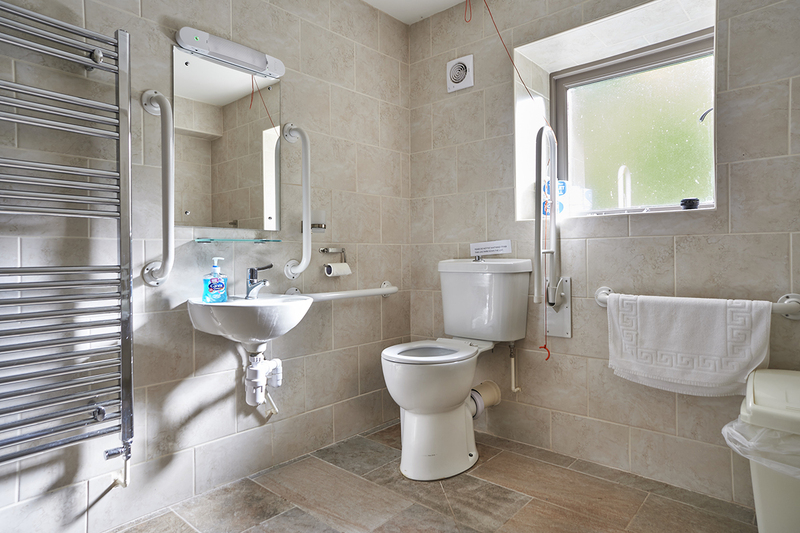 There is also one apartment with a height-adjustable desk and fully accessible wet-room. You will need to book a cab to collect you. Below are the numbers of local companies we recommend. The journey takes around 20 minutes so please bear this in mind when you are planning your trip. Details on how to travel to The Hurst by car can be found here. We have plenty of free car parking available at The Hurst. You should plan to arrive between 12 mid-day and 4pm. 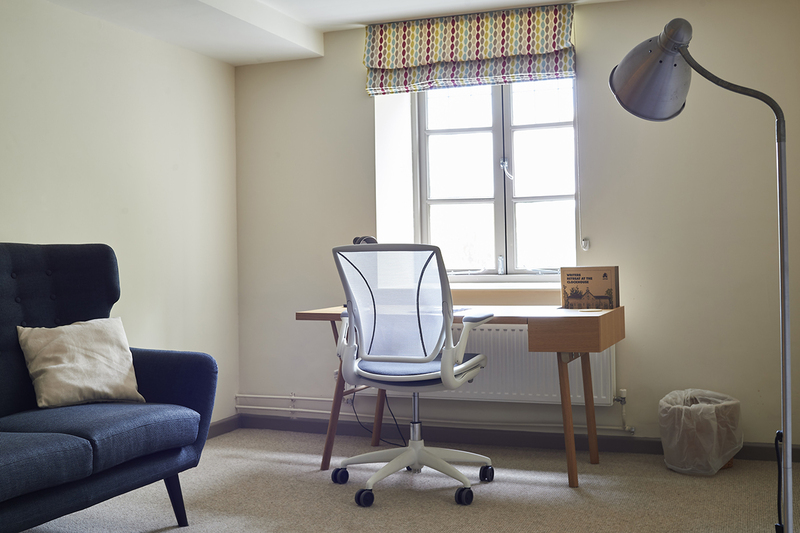 An Arvon staff member will give a short talk about the centre at 4pm. Please note that we are not able to receive you here at the Clockhouse until mid-day. 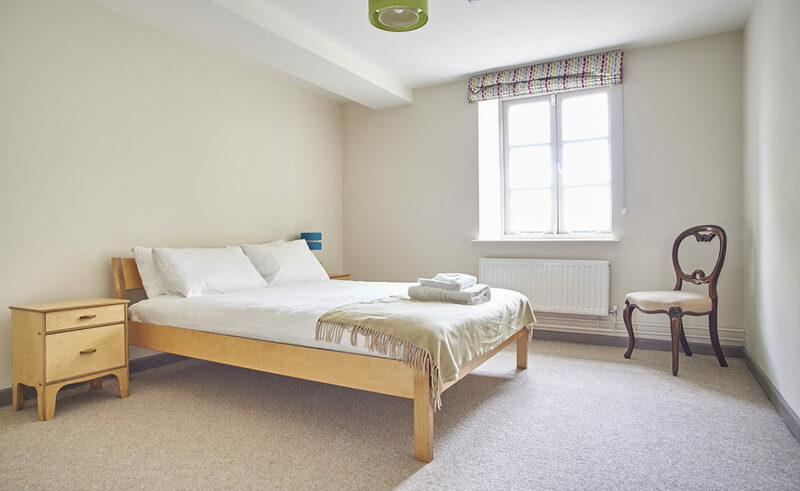 All your food will be provided during your stay at The Clockhouse. Breakfast and lunch will be a “help yourself” arrangement and for your evening meal, there will be a choice of locally produced frozen meals for you to heat up. We will provide meat, vegetarian and vegan options but for all other dietary requirements please feel free to bring what you need with you. We encourage you to dine with your fellow writers at 7pm each evening if you would like to. If you wish to drink alcohol please bring your own supplies. There is a general store in Clun, the nearest village, with a good range of wines and beers. There is a reasonable mobile signal for EE and Vodafone at The Clockhouse but on other networks, the coverage varies. 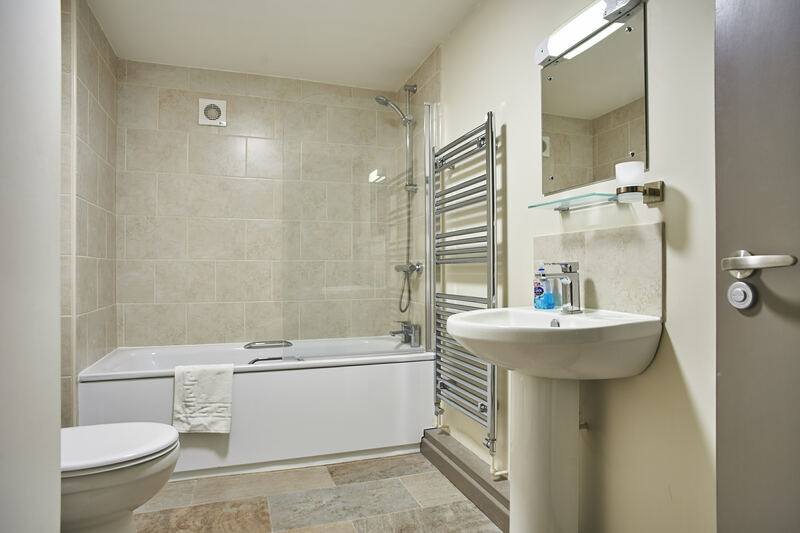 There is a payphone (01588 640987) and there is Wi-Fi available throughout the building. There are also two printers located in communal areas. 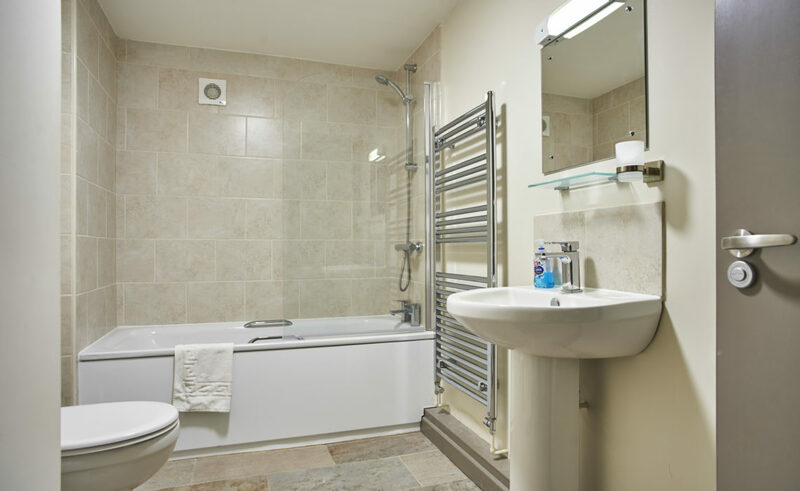 Towels will be provided and there is a washing machine and tumble drier in The Clockhouse which you are welcome to use. 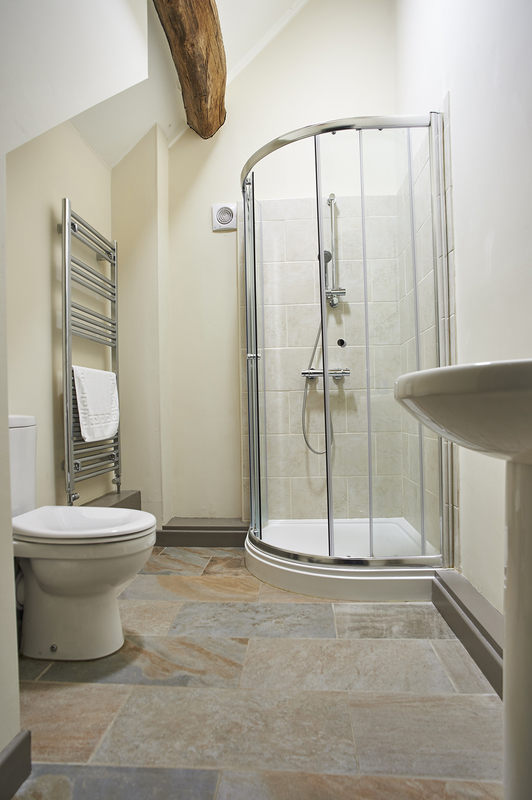 The Clockhouse will be cleaned weekly, after writers have departed, and not during the period of your stay. You will have access to the 26 acres of Hurst grounds and gardens so do bring some suitable footwear. 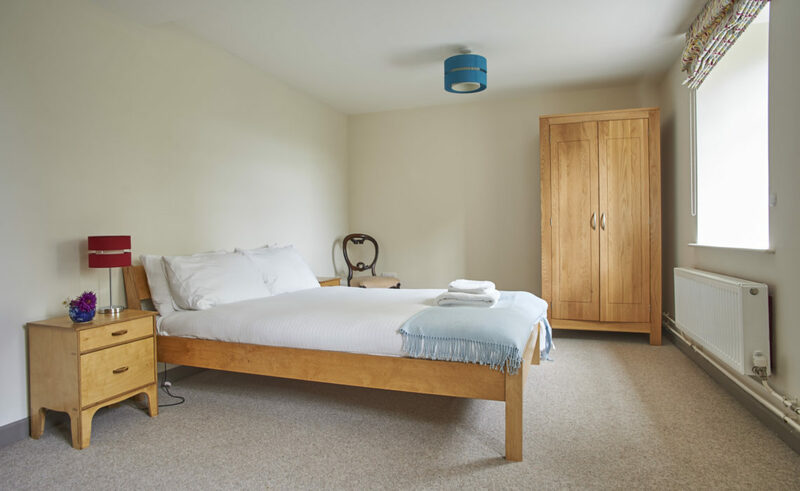 The Hurst sits within The Shropshire Hills, an Area of Outstanding Natural Beauty. There are some wonderful walks, in every direction. We will provide local maps and recommended walks. 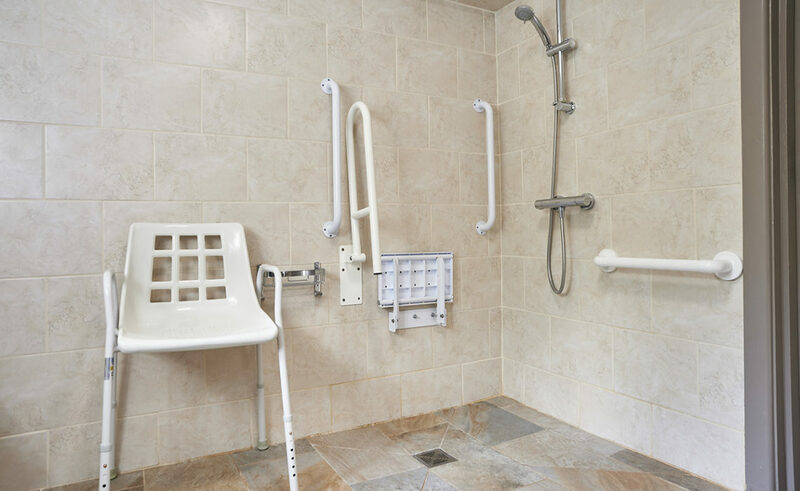 The building is wheelchair-accessible throughout, with level access to all floors and a lift. 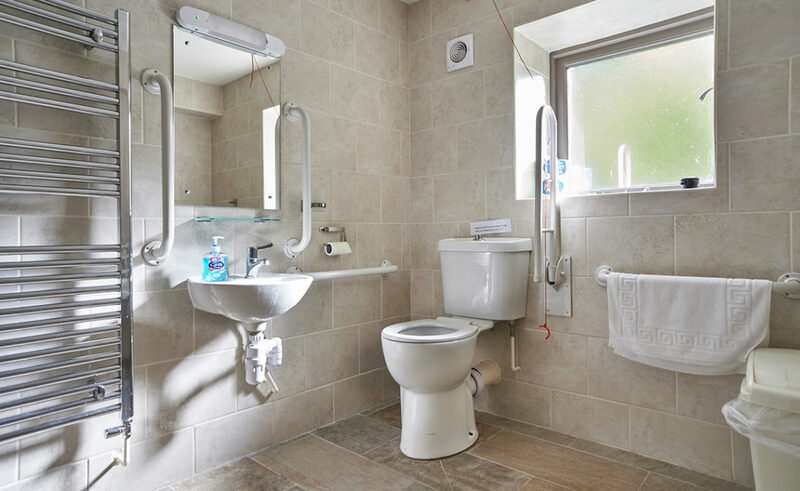 There is also one apartment with a desk that can be adapted to accommodate a wheelchair, and fully accessible wet-room. 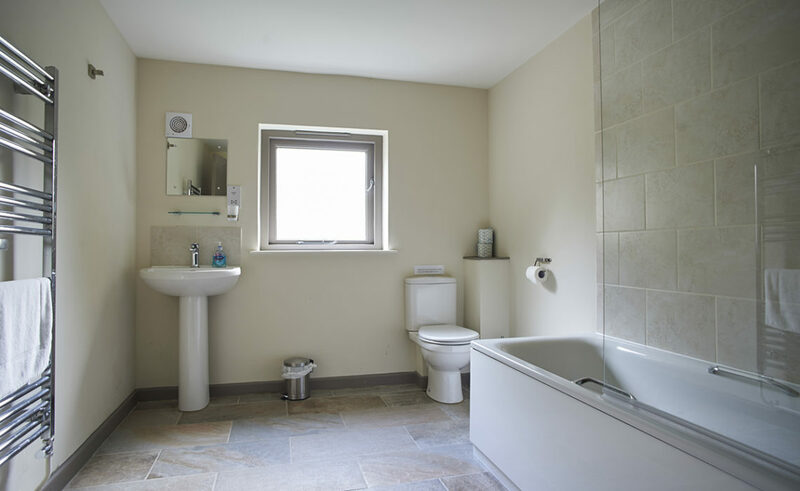 Please let us know your accessibility needs on booking, and we will do our utmost to accommodate your requirements. 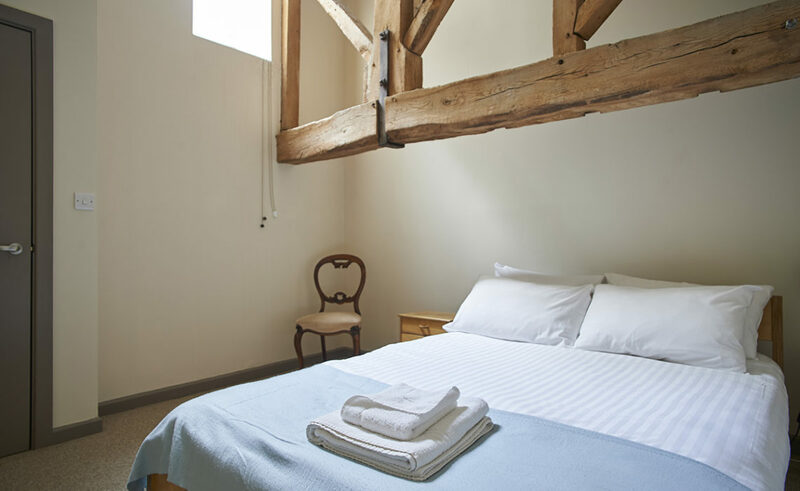 As The Clockhouse is a retreat space we ask that you do not invite any guests into The Clockhouse during your stay there. We are sorry but pets are not allowed at The Clockhouse.